Intelligent systems are designed for advanced flexibility and customization for every application. Conventional systems employ initiating circuits that are connected to sensors wired in parallel. ORR Protection Services offers a versatile selection of high-tech fire and smoke detection systems. ORR Protection Services manufactures high-tech notification systems for a variety of environments. Voice evacuation systems uses distinctive amplifiers to alarm occupants with alarm tones and voices. A comprehensive communications-based solution that warns people of danger and guides them to safety. Air sampling detectors consist of piping networks that run from the detector to the protected areas. Exit Point audible technology decreases evacuation times by helping occupants find the nearest exit. 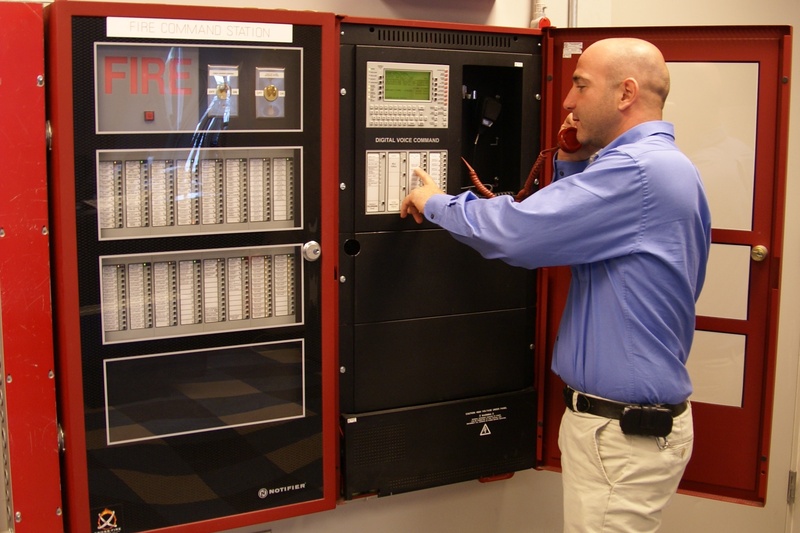 For over 50 years, NOTIFIER has been a leader in the fire alarm industry. Today, NOTIFIER is the largest manufacturer of engineered fire alarm systems with over 400 distributors worldwide, and regional support operations on every continent helping to ensure NOTIFIER provides the flexibility and options your business needs. Our commitment to products and partnerships is what propels NOTIFIER to stand proudly above the rest. NOTIFIER achieves success through its steadfast commitment to quality. First in the industry to be approved under ISO 9001 standards in April, 1993, NOTIFIER employs professionals in research, design, engineering and production. These dedicated professionals work as a tight-knit team to ensure compliance with performance specifications. NOTIFIER is among the first in fire alarm industry to accept and introduce the challenge of Just-In-Time delivery and Zero defects manufacturing. The extensive manufacturing facility takes up the majority of space in the company's 302,000 square-foot world headquarters building in Northford, CT USA. The Northford facility meets certification under International Organization Standards quality control program for design and production. Continuous improvement efforts are driven through our Six Sigma culture, while Honeywell’s Behaviors set our boundaries.